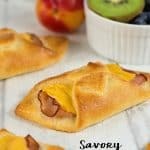 This Savory Ham and Cheese Danish recipe is super easy to make and the Danishes are perfect for a “grab and go” breakfast or snack! 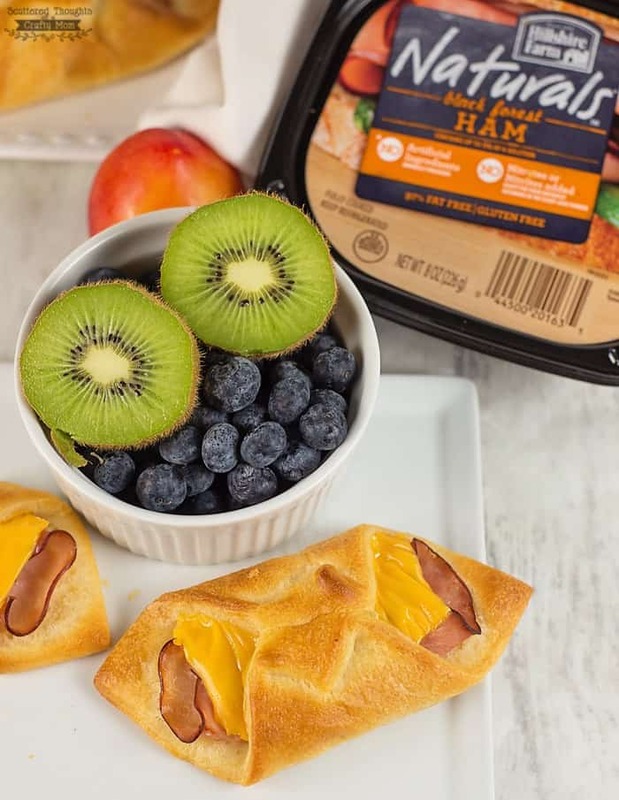 Thank you to Tyson® Foods for partnering with me to bring you this post! The kids have been back to school for a few weeks now and we’re starting to get back into the routine. Those first few days were rough, though. We’d been on a long vacation right before school started and had been sleeping late, swimming all day and staying up past our bedtime. There was no easing back into those early mornings – we pretty much went “cold turkey” on the 6:15 am wake up time! I’m definitely a believer that kids need a hearty breakfast to fuel their day. Sometimes my hubby will get up early and make a big breakfast for everyone, but most of the time breakfast prep falls on me (and lunch prep and dinner prep too, lol). My favorite type of breakfast? Definitely make-ahead type recipes. Nothing better than having something ready in the fridge or freezer that is grab and go or at least, grab and reheat! 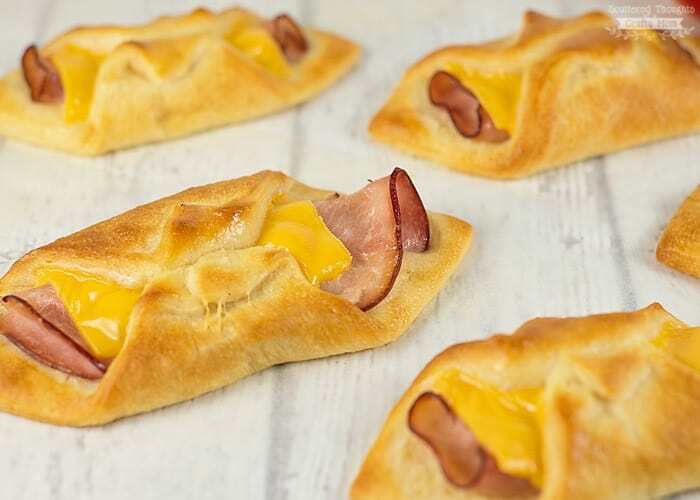 These Quick Ham and Cheese Danishes are absolutely delicious straight from the oven. 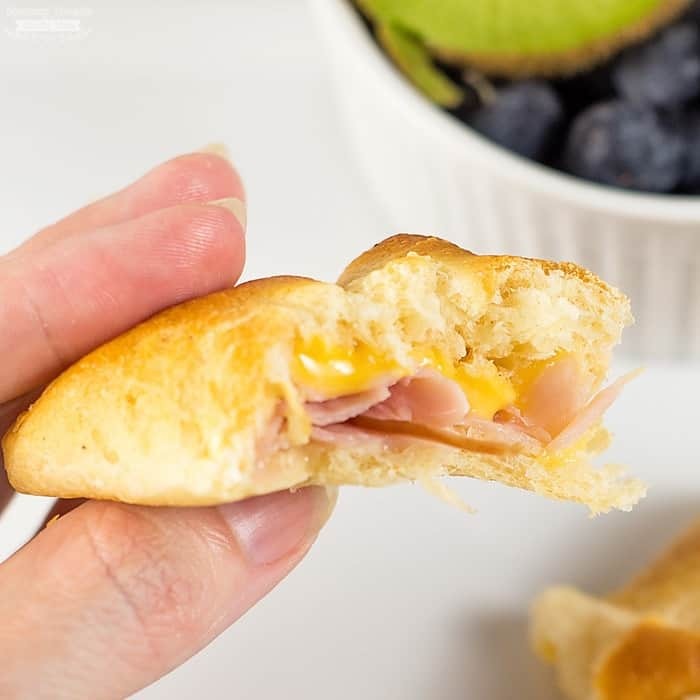 They only take 10 to 15 minutes to prep and bake, so you could make them fresh in the morning, but they are just as good if you bake them ahead of time and then reheat in the microwave or toaster oven. 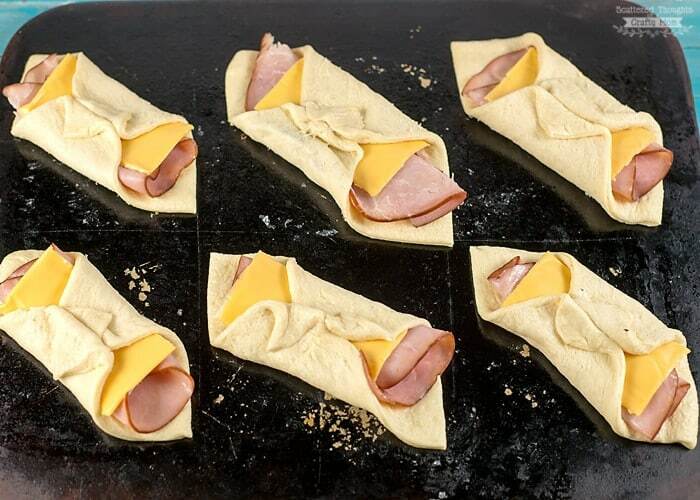 Ready to make the Ham and Cheese Danishes? It’s so easy! 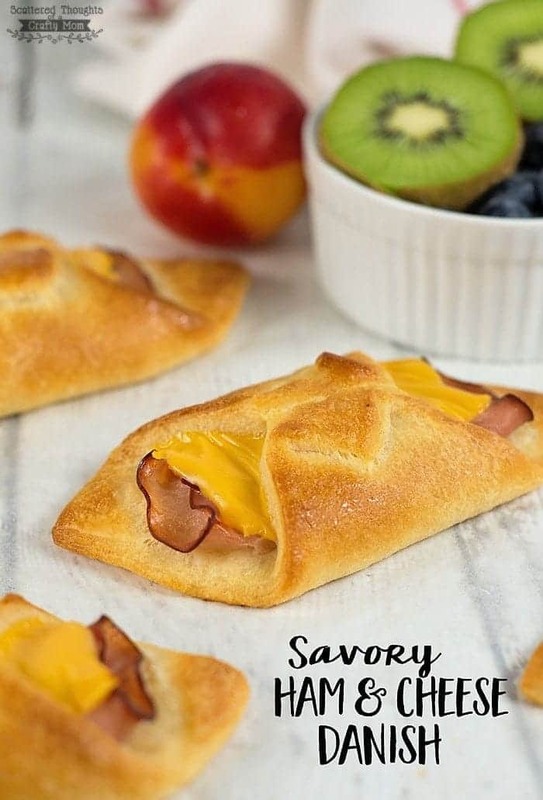 This Savory Ham and Cheese Danish is made with crescent roll dough and is super easy to make and are perfect for a “grab and go” breakfast or snack! 2. Unroll crescent dough, smoothing out the perforations with fingers. Cut dough into 6 squares. 3. Add ham and half slice of cheese to square and roll up the sides, (as shown) pressing the center seams together. 4. Bake for 12 to 15 minutes or until dough is golden brown and cheese is melted.